For many investors, Africa is becoming a key part of their global portfolio. Although for some it is still a longer-term bet, the savvy investor sees that, in an environment of global protectionism, with widespread technological disruption and all assumptions up for question, there has never been a better time to invest in Africa. We have all heard that seven of the 10 fastest growing economies in the world are in Africa. Two things have held investors back in the past – the view that this growth is longer-term and the concern about the risk of doing business there. 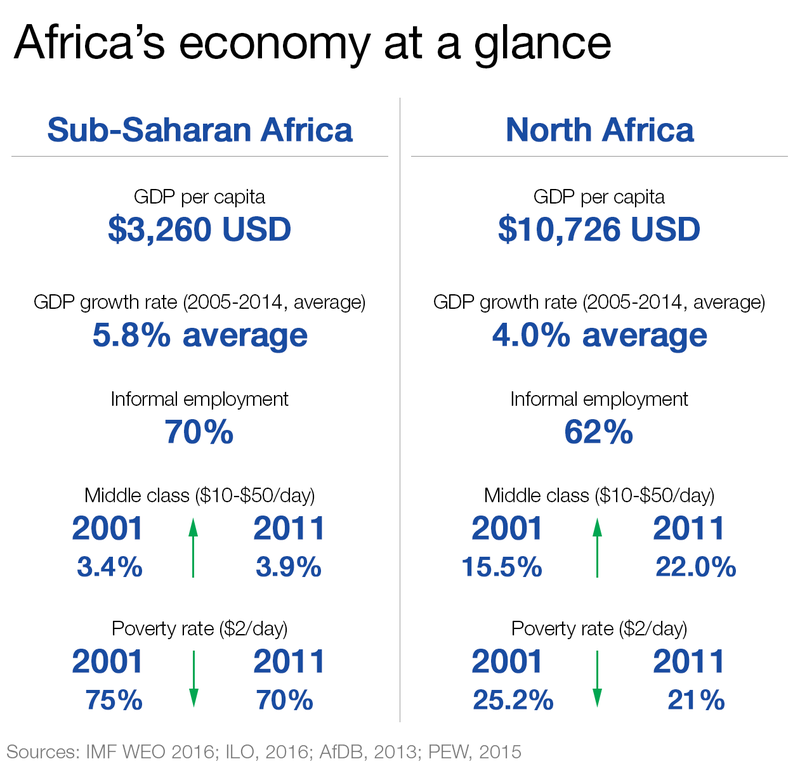 Thankfully, Africa is shedding both of these long-held perceptions, partly because of significant market reform, infrastructure and governance improvements, and partly because those who have taken the plunge are reaping the benefits. We have seen solid progress by a number of African countries to reform policies and institute strong governance aligned with international best practices to attract greater foreign direct investment. Almost every major market has a published long-term development vision that includes investment in infrastructure and inclusive growth initiatives. And more and more, we are seeing peaceful transfers of power as the norm on the continent. As a direct result, confidence and investment have grown in key sectors – including power, resources, agriculture, information communication technology, primary infrastructure, such as housing, and secondary infrastructure, such as healthcare. The fast-emerging middle class in Africa is creating unprecedented consumer demand and opportunity. As the second most populated continent in the world – an estimated 1.2 billion people now live in Africa – with the youngest population – 40% of the continent is under the age of 14 – now is the time for consumer brands who are looking for growth to establish a presence in Africa. With such incredible interest in Africa, several organisations have tried to manage their Africa business from Europe or the Middle East. This has not proven to be a successful strategy for most. With over 50 countries, more than 20 languages, multiple cultures, local regulatory, tax and legal environments and differing levels of market development, Africa is too complex to manage from a distance. It is crucial to be on top of all of the nuances, as getting it wrong is simply too expensive for an organisation’s bottom line and reputation. For this reason, on-the-ground expertise is critical. The most successful organizations manage Kenya from Kenya, Zambia from Zambia and Nigeria from Nigeria, either through direct local presence or partnerships. Associations such as the US Chamber of Commerce, the British Chamber of Commerce and local Chambers such as the Johannesburg Chamber of Commerce and Industry are also very useful mechanisms for navigating local regulation, policy and investor requirements. Through local presence and strong local partners, investors can demonstrate long-term investment commitment which is favourably viewed by governments, consumers and communities. With some of the populist and nationalist movements seen in the US, UK and elsewhere, investors may be tempted to think that Africa and other emerging markets will play a smaller role on the global stage. This could be a strategic mistake. Emerging markets will continue to affect the growth plans of every single multinational in the foreseeable future. The fastest growing consumer markets, the largest opportunities for transformation at scale, the most competitive global talent are all coming from the developing world. By 2050, half of the world’s working population will come from Africa. The challenges in Africa around infrastructure, education, financial inclusion, employment and entrepreneurship are real; but so are the opportunities to solve these issues in a way that benefits everyone. This presents an unprecedented opportunity for investors, educators, social activists, governments and corporations to work together to create new, inclusive models for social and commercial growth. Never has there been a greater need for the ‘Responsive and Responsible Leadership’ that the World Economic Forum has called for, and never has there been a greater opportunity for that sort of public-private initiative to have a meaningful impact. One example is the Know Your Customer (KYC) utility , developed by a number of South African banks. One of the obstacles to lending and investment in Africa is regulatory compliance and the overheads involved in managing this and keeping records up to date. This makes it harder for banks to lend and makes it harder for organisations that need funding to move nimbly. Through the creation of this utility, each bank has been able to not only reduce costs but also move faster with their customers. Another example is the African Leadership University , which combines education and on-the-job training, provided by international partners. Another is the public-private partnership developing the Land Registry for Lagos State in Nigeria.